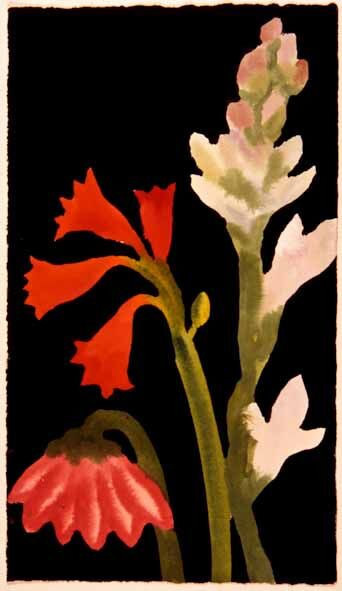 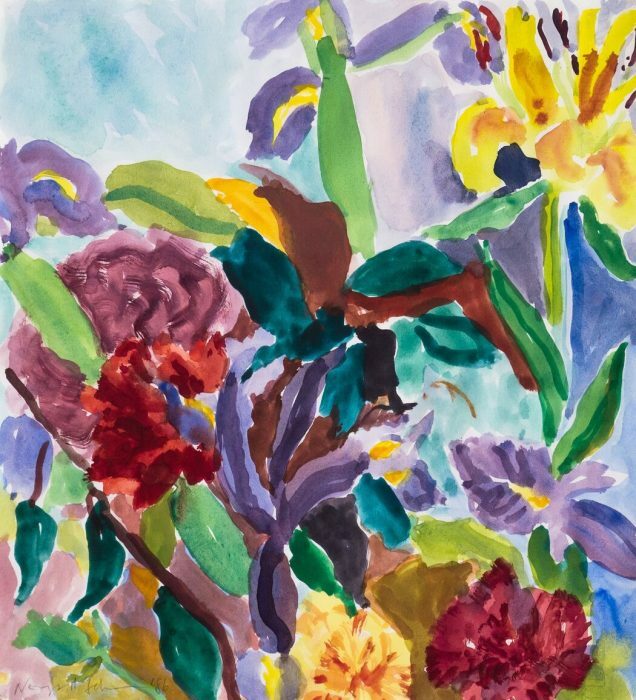 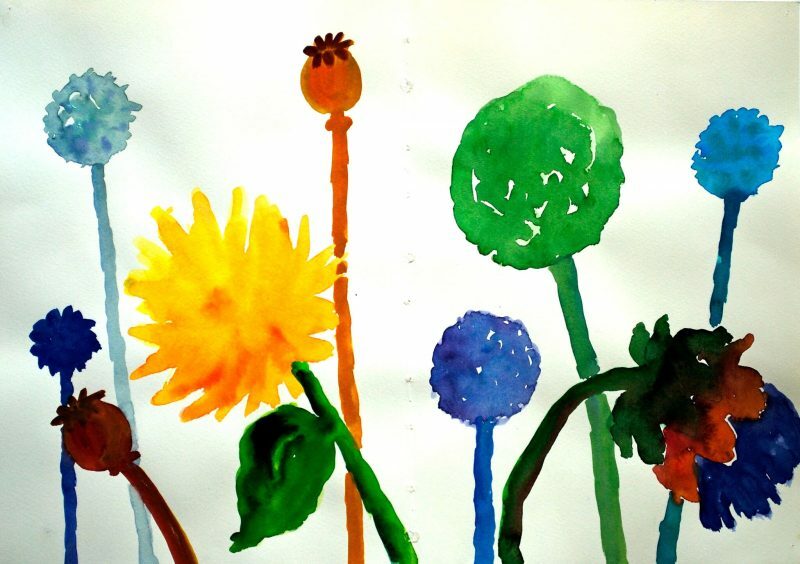 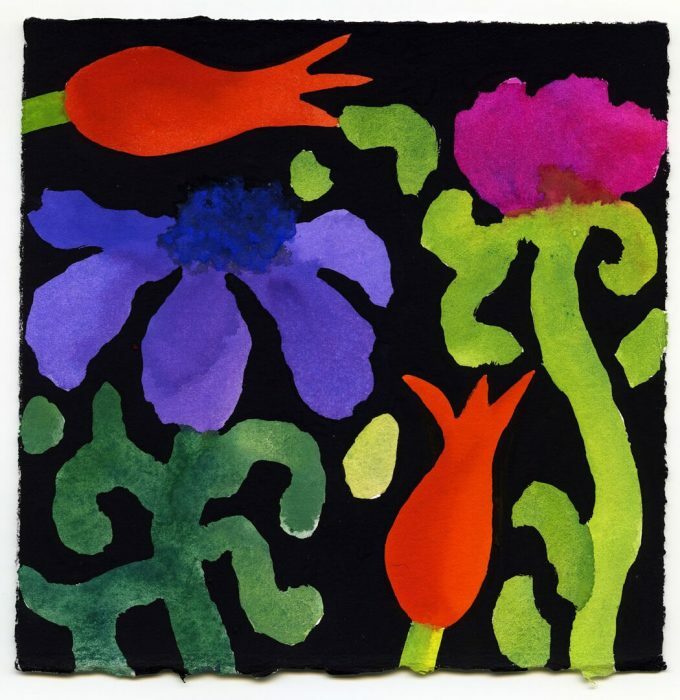 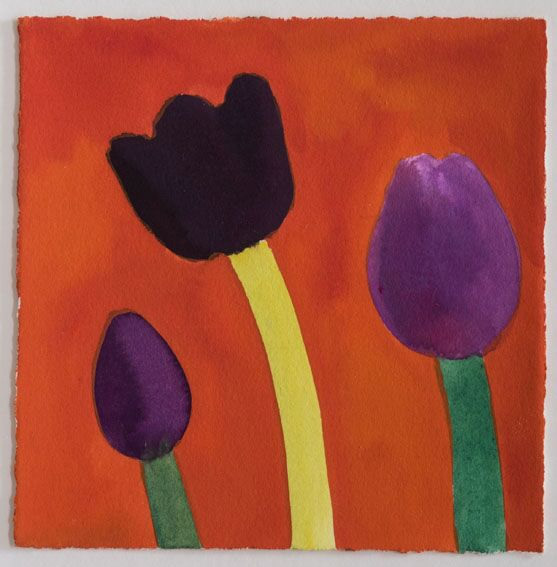 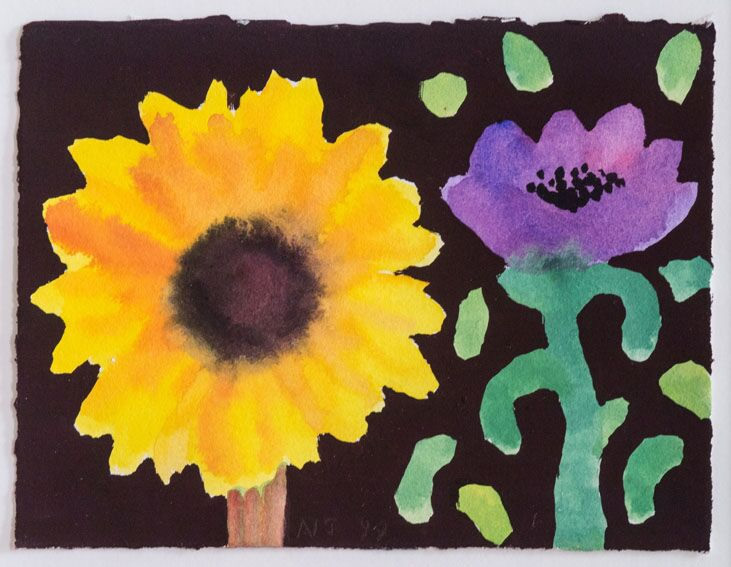 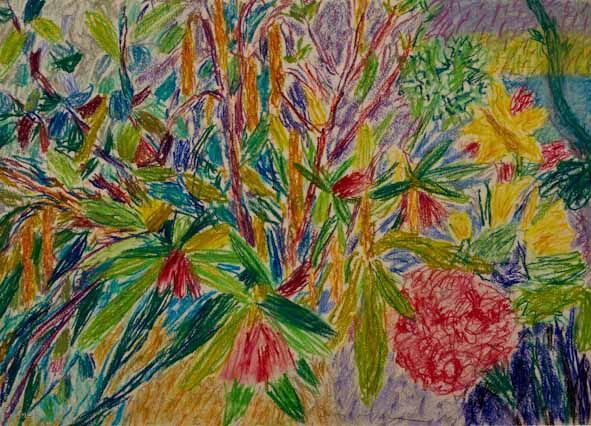 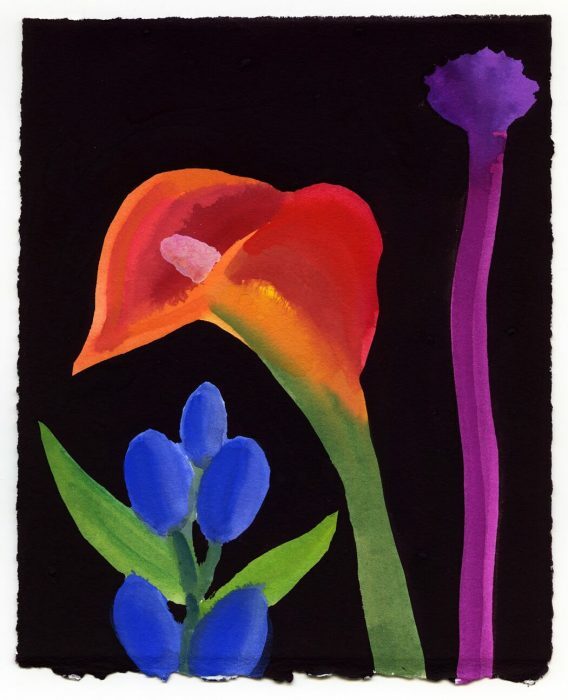 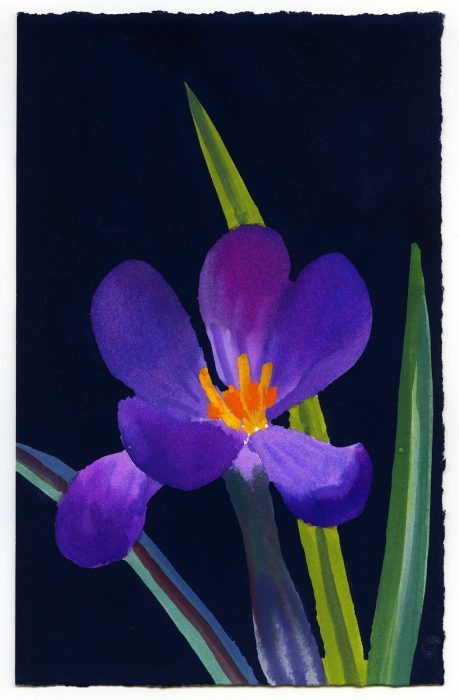 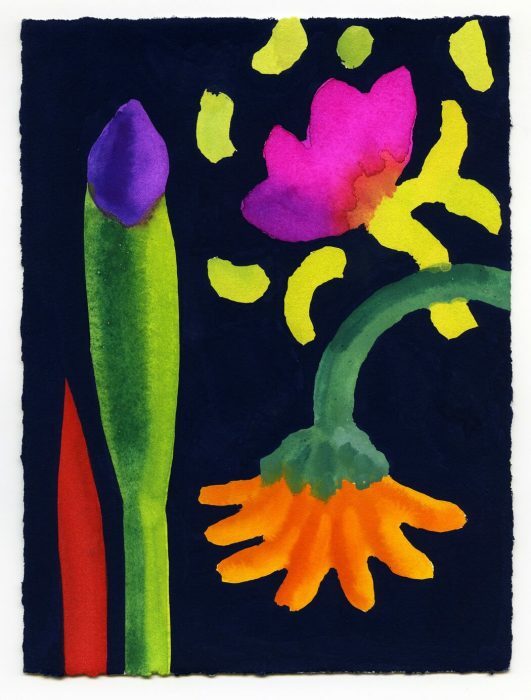 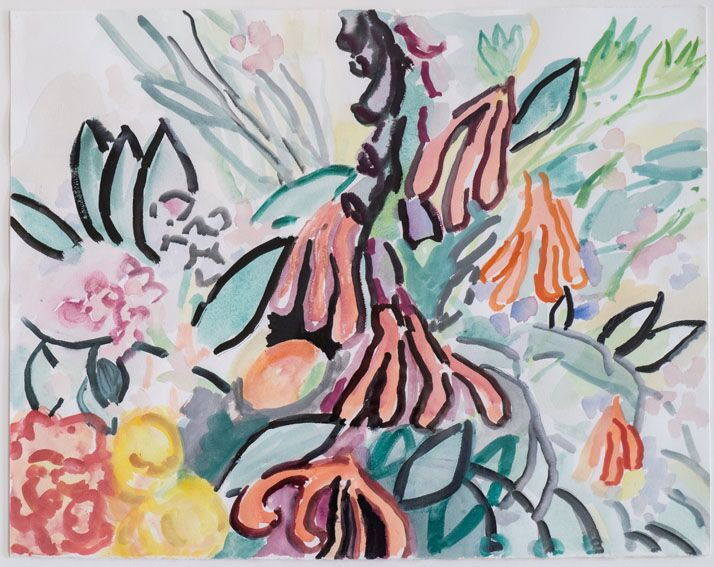 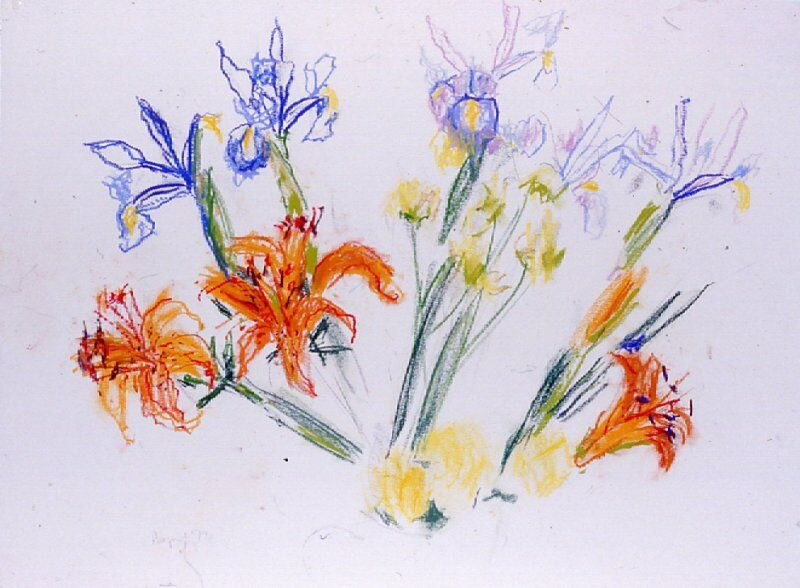 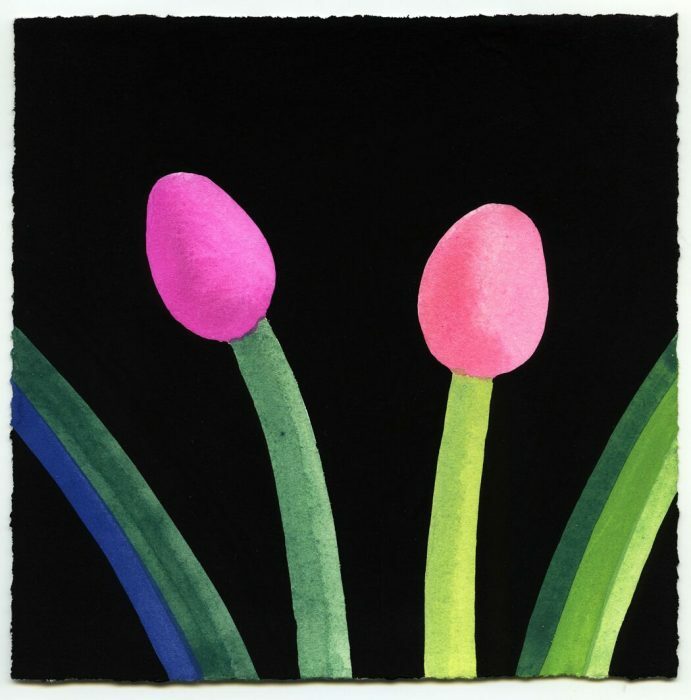 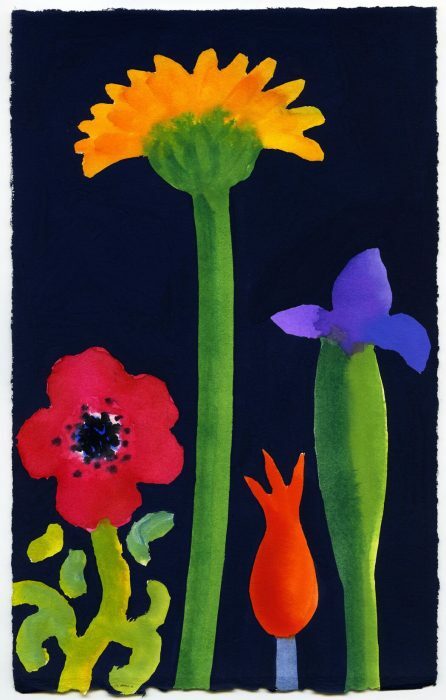 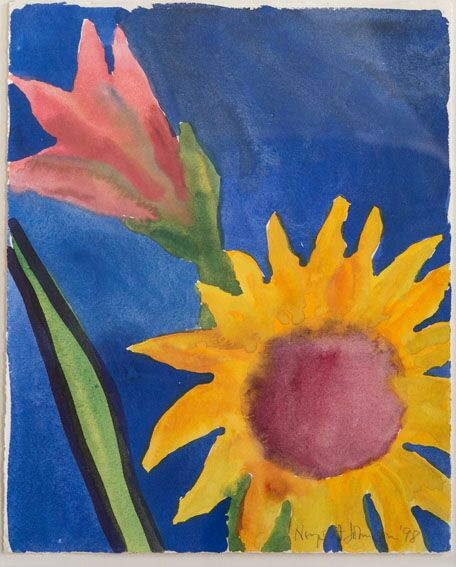 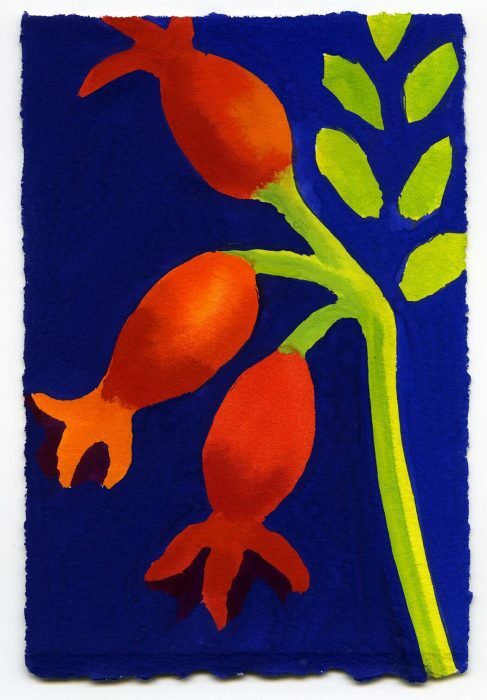 Nerys is well known for the small, intensely-coloured works of her later years, in which types of flowers are simplified and depicted singly or in simple combinations, often against dark backgrounds. 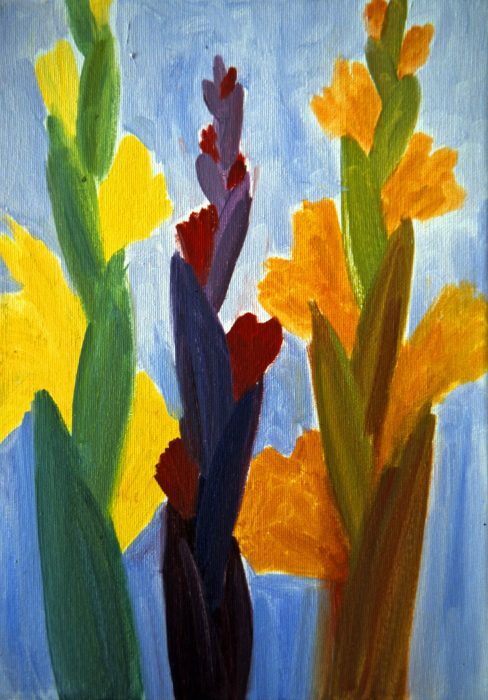 These works were preceded by a decade or more of stylistic experimentation, when colour and shape were pitched against each other in a variety of compositions and structures. 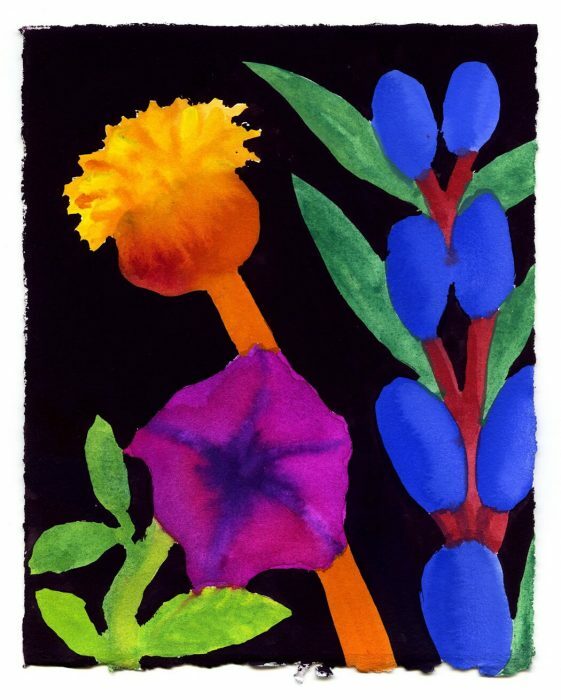 Colour juxtapositions veered from the delicate to the bold. 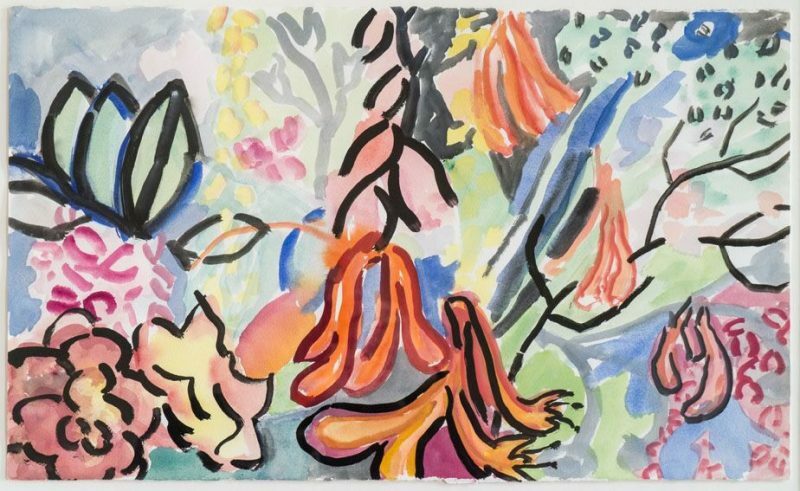 In all cases, the background – whether pale, dark, or wallpaper-like stripes – served to define and emphasize the form in front of it. 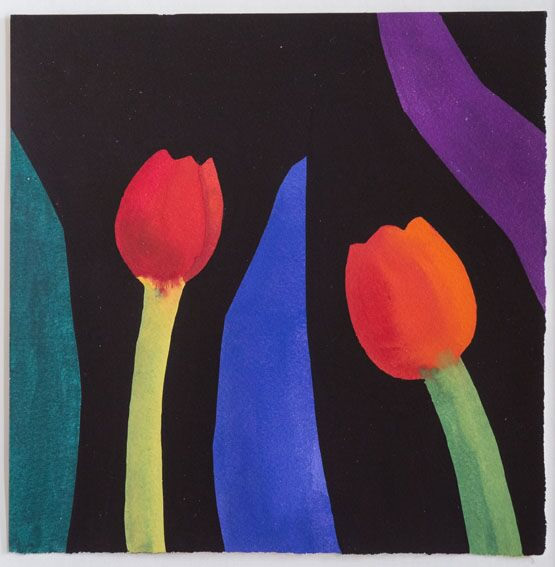 Bridget Riley once said that Nerys had ‘absolute judgment’ when it came to colour, and this is fully reflected in the images here and elsewhere on this website.